The spring issue of The Recorder Magazine takes recorder makers, reflections and innovations as its themes. Click here for the contents and here for a list of music reviewed in this issue. Scroll down for new music from Peacock Press, including the major new PEMS collection of consort music from the court of Maximilian I, John Turner Contemporary Recorder Series, Girolamo's Bingham Reloaded series, MUST series including many Lennon-McCartney and more. All recorder pieces can be purchased from the Recordermail site. Peacock Press have acquired the music and assets of Oriel Library. We are honoured to have the opportunity to continue the work of Theo, Cathy and Ian. Peacock Press have purchased all publishing rights. Ruth is particularly pleased as she has very happy memories of music visits, over many years to Dr Joel Newman in Provincetown on Cape Cod. Click here for a full list in pdf. Over 100 of the pieces published by Alex Ayre have been typeset and are available under the code CRCS. They are sold as score and parts; extra parts are available on request. They are now listed on the Recordermail website and a list is available here.The original manuscript pieces still available under the code ALEX are also now listed on the Recordermail site. 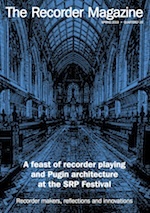 Peacock Press now distribute Recorder Music Direct including Hugh Gorton's Recorder Practice series and a number of classical and light works edited for recorder and piano. Peacock Press have taken on the distribution of Cheap Trills for England and large parts of the world, printing under licence here in the UK. Music in the Cheap Trills catalogue ranges from Baroque to Modern via folk and Spirituals. The arrangements and editions of Charles Nagel are of the highest quality. A companion to his classic "Play the Recorder" series. A beautifully produced two-volume set of solo recorder music to enhance the repertoire of any serious recorder player. It is clearly typeset and well laid out on larger than A4 paper, with strong laminated covers, Canadian bound: a spiral to open flat and a spine to stack neatly. The two volumes, each of 112 pages, represent some of the finest Baroque solo works ever written. This core repertoire represents the major baroque works for solo flute, transposed for recorder with choices of transposition. Music you come back to again and again. Telemann's fantasias for violin are much less well known than his flute fantasiass but have music of the same quality and imagination. Marais' Couplets de Folies are full of ideas, adventure and beauty. Bach's cello suites must be the best music of the gentre, often difficult but supremely satisfying. A lifetime's study - in so few pages. Explores in depth the repertoire chosen by recorder virtuoso Carl Dolmetsch for his concerts at the Wigmore Hall in London, 1939-89, including works by Lennox Berkeley, York Bowen, Arnold Cooke, Gordon Jacob and Edmund Rubbra. Andrew Mayes draws on correspondence and MS scores in the Dolmetsch Archive in Haslemere, places the music in context and surveys its influence. Newsletter: if you would like to receive our quarterly e-newsletter with information for music shops on new publications and the latest Recorder Magazine, please contact Felicity at recordermail@yahoo.co.uk. Recorder Music with CD - click here for an archived list. Recorder Magazine archive on CD: back issues of Recorder Magazine from the earliest issue of May 1963 up to the end of 1974 are available on CD in searchable pdf format (Acrobat reader 7.08 included), £10, produced by Vince Kelly of Cheap, Choice, Brave and New in Edmonton, Canada or from Recorder MusicMail. Code CCBN RM01. Recorder music and CDs for review should be sent to Sue Pemsel: recorder.reviews@gmail.com, or c/o Recorder MusicMail, Scout Bottom Farm, Mytholmroyd, Hebden Bridge, West Yorks, HX7 5JS. Peacock Press prices will be increasing gradually over the coming months. Commissioned by Lynne Hope who lives in Dollar, a small town in Clackmannanshire. This is an arrangement of a very grand piece from the Huitieme Ordre of Couperin's keyboard works. An Old Garden, Song, Sung Outside the Prince's Door, A Tin Soldier's Love. These pieces are derived from piano compositions somewhat richer in harmony and texture than the popular "To a Wild Rose" which has been arranged for many instruments including recorder. Includes solos, duets and trios with various sizes of instruments. These 30 much-loved tunes with duet parts will give recorder players the opportunity to explore the expressiveness which can be found in the recorder. 30 trios of traditional dance melodies for 3 equal instruments - either descants or tenors. They are mostly Playford dances. Written for John Turner, this small suite consists of six short pieces with a combined length of five minutes. The first four pieces are mere Bagatelles, each sketching a mood. The fifth, the longest and most serious, depicts a solemn public ceremony. The final piece is chirpy and spirited. Two short but fairly demanding solo pieces. Interrupted Melody is for treble and juxtaposes a gentle yet teasing melody with muscular rhythmic interruptions. Breathless Scherzo (for descant) employs flutter-tonguing as the hectic sprint gradually winds down to a calm but exhausted ending. Five diverse and entertaining pieces for two recorders of various sizes. An intricate and moving tribute to the late John McCabe, using material from one of the composer's early piano works. This rewarding piece is by a young multi-award-winning composer who currently teaches at Wells Cathedral School. Probably written to play with friends by the composer, himself a clarinettist. The short and bubbling Scherzo is following by a graceful and stately Dance, and the final movement, Capriccio, has knockabout humour and catchy tunes. A real earworm! This delightfully tuned and moderately easy concerto for descant recorder, in three short movements, is suitable for players of Grade 5 standard. It is playable either with piano accompaniment or with string orchestra. A most interesting piece of majestic proportions and changing moods. The seven pieces are inspired by the poems of famous poets: 1. Proud Songsters - Thomas Hardy; 2. The Birds - Hilaire Belloc; 3. Leda and the Swan - W B Yeats; 4.Boys Then and Now - Thomas Hardy; 5. Snow - Edward Thomas; 6.The Owl - Tennyson; 7. The Swan - James Reeves. The recorder, as might be expected, often takes on the role of the bird. A wonderful work by the composer of the well-known carol "Jesus Christ the Apple Tree", who loved both the recorder and early music. The work is in a tuneful neo-Baroque style, and the composer herself thought it one of her very best works. A concern for the natural world and its ongoing destruction by man inspires this haunting work. The first movement, a prayerful and mystical introduction leading to an athletic leaping dance, is succeeded by a gentle lament for the leafy trees. The virtuosic finale, in which descant and sopranino recorders take over from treble, is a hectic and primitive-sounding dance for birds, in irregular and teasing rhythms. A companion piece to the delightful Rain Song. It is very fast - full of energy, cross rhythms and interplay between solo and accompaniment. Another discovery of flageolet music suitable for the descant recorder, by two composers well known in their day but long forgotten. The simple tunes are beguiling, and both imitate birdsong. Two very simple and tuneful tunes for the beginner and intermediate student respectively. The Romance can also be played on the flute, and Womack Waltz on the oboe. Click here for full series. Modern notation but no barlines help to bridge the gap between reading the modern notation and facsimile. Phrasing and expression is enhanced using these editions. These are the sonatas rediscovered and sent back to Berlin in 1999 from Kiev where they were kept during World War II. A new edition - if you have not made their acquaintance, you should try them. They are very good. Written for 2 violins, cello and bc. Another lovely Corelli Concerto Grosso. Lots of contrast and interest in all parts. Energetic but not too hard. The contra is optional but very desirable so if you have one in the group it will add richness to the sound. This series allows players to read modern notation but, as in the original, to play the music without bar lines. This gives the music its true emphasis and expression. Moira has set the pieces so that everyone starts each line of music at the same time to help rehearsal problems. A selection of early trios by Agricola, Byrd, Deprez and Brummel. Playing the piece unbarred gives a new dimension to this intricate music. A beautiful 5-part Fantasy presented here in two keys for flexibility of orchestration. The original is bound into volumes primarily containing concertos and overtures by Handel, Geminiani Festing and others. Some reconstruction was undertaken by Simon Fleming so that a piece which has lain dormant for so many years is once again available..
A sonata da chiesa for use in the Chapel Royal (1688), combining English tunefulness and German technique. Early intermediate. The five traditional dance forms - Romanesca, Sicilienne, Minuet, Gigue and Passamezzo Moderno are given new life and a modern twist. Early intermediate. An unusual piece, designed for use as light entertainment. A welcome and pleasurable item from the early sixteenth century. Triple Fipple Ripple (AAA) -- Serenity Now (TTB) -- Cauldron Bubble (ATB) -- Clicky Bass BACH Canon (BBB). With notes on each piece. Intended to sharpen selected aspects of technique. 5 pieces with titles for a great meal from Amuse-bouche through starter, main course, dessert and sitting contented after eating. For the complete series click here. Johann Sebastian Bach’s recorder parts are amongst the most delightful artistic challenges which baroque music has to offer players of this instrument. In the 25 cantatas and oratorios in which Bach uses the recorder, there are parts with moderate technical demands, but also many where the instrument is at the limits of the performing techniques of the time. Taken as a whole, Bach’s recorder parts constitute a body of study material which presents plenty of challenges even for advanced players. Franz Muller-Busch presents the results of three years' work on George Bingham's Airs Anglois, produced 1702-1705. This collection of dance movements combined into suites, complemented by chaconnes, grounds and two sonatas, was a valuable source of original music for recorders for all recorder players at the time of its publication, and has remained so until the present day. The collection contains compositions by Bingham himself, Gottfried Finger, Henry and Daniel Purcell, Jacques Paisible, William Williams and many more. G12.040 Giuseppe Sammartini - Noch 3 Sonaten (Ms. Parma 2, 6, 14) for 1 A & b. c., ed. Laura Dalla Libera, bc realization Yo Hirano. Tommaso Albinoni - 12 Sonatas for AAT, bass recorder ad lib. & b. c., ed. Peter Thalheimer. Albinoni's 12 sonatas or balletti for two violins, viola and b. c. were composed before 1728. By 1740 they had been adapted by an unknown arranger for three recorders and bass instrument by transposing them upwards, some by a minor third, some by a fourth. This edition adds the original basso continuo part with the original figures, which offers several and colourful combination of instruments for performance. Rossini's melodies from The Barber of Seville, Othello, The Thieving Magpie, etc. : great Italian opera worth discovering: here in arrangements for two flageolets published in Paris ca. 1819. A comprehensive and inspiring book for recorder players of all ages and ability. Bart has published his insight and experiences in this book. For the last ten years he has focused his interest on methods of practising. Never published before, not even in the Baroque period! An excellent and fun collection of Baroque pieces: fine practice material, also useful as models for writing or improvising your own preludes, fantaisies, and caprices. The manuscript is preserved in the British Library in London. The piece was commissioned by the SRP to celebrate the Society's 75th birthday. Both books contain predominantly Baroque pieces but with some Early pieces and some modern ones. The descant book contains many short and easier pieces but a good variety. Both parts are of a similar standard. The treble book has sonatas and suites which are printed with all movements and the selection is very enjoyable. Makes scales and blues scales for recorder fun. This edition is an arrangement for recorders of Coprario's six part fantasias that he may have composed for his tuition of William Lawes. Four have been arranged for either descant & treble or tenor and bass and two are for treble and tenor. Two playing scores + bass clef part are included. Arranged for SATB Coprario was employed by the courts of James I and Charles I and had the reputation of being one of the leading instrumental composers. His works enjoyed considerable popularity in the early to mid-17th century. This purpose of this series is to make available to recorder players some of the finest English consort music of the late 16th and early 17th centuries. Fretwork Editions has been publishing large bodies of this repertoire for viol players in authoritative editions since 1990, and now has a substantial catalogue of music by the greatest composers of the period: Byrd, Dowland, Coprario, Gibbons, Lupo, Jenkins and William Lawes. In our new series of recorder consort music we aim to select pieces from several of our published collections, having regard to range and key, and produce new editions suited to recorder consort with appropriate clefs and, where necessary, alternative parts for high and low consort. 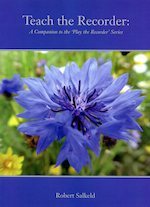 The first publications in this series are of consort music by John Coprario in 2, 3 and 4 parts, and of consort songs by William Byrd for voice and 4-part consort.